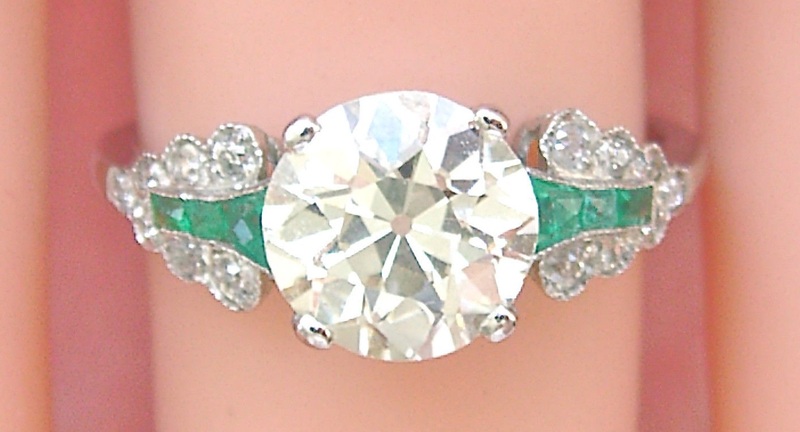 This is a stunning estate ring that was handmade in the Art Deco style from Platinum. The ring is set with 1 old European cut diamond of L color, VS2 clarity that weighs 1.80 ct. 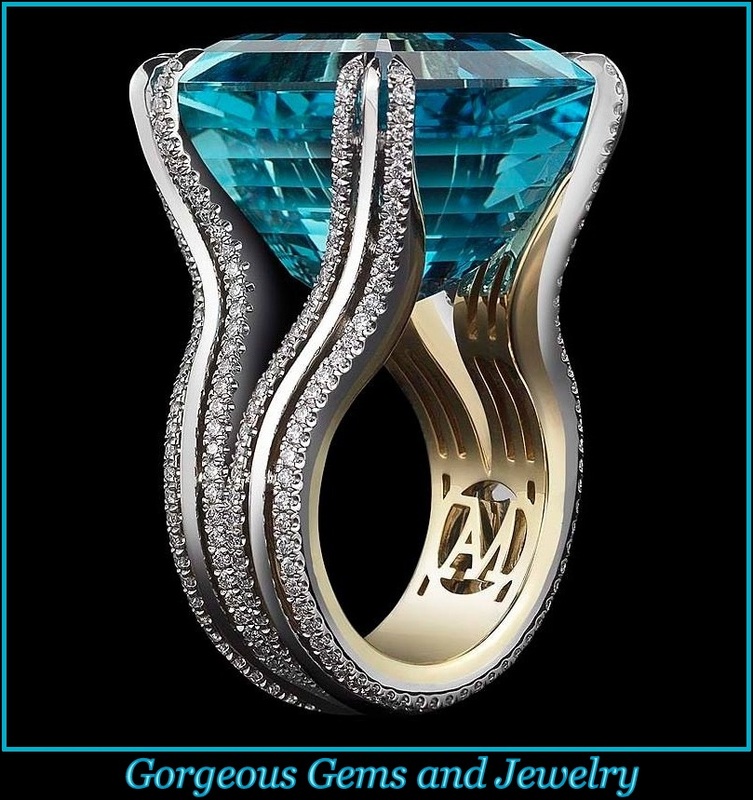 This is an absolutely gorgeous diamond and it is completely clear without inclusions. This diamond comes with an EGL Diamond Certificate, number 62059301 dated March 9, 2015 and it also comes with a Gem ID Card. The shoulders of the ring are set with 14 European cut diamonds that weigh approx. 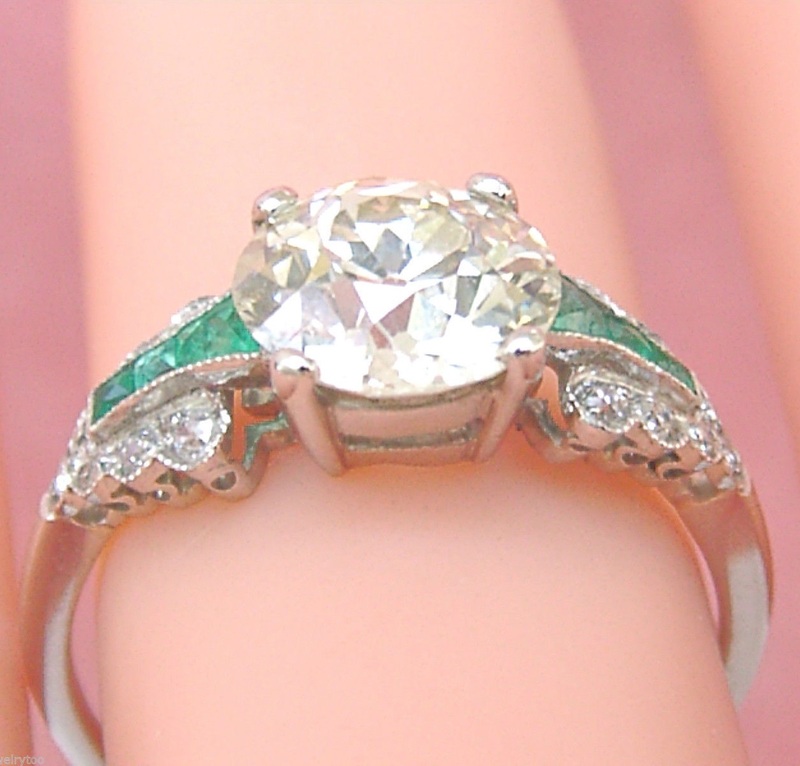 .12 ctw., along with 6 natural emeralds of fine color & quality weighing approx. .14 ctw. 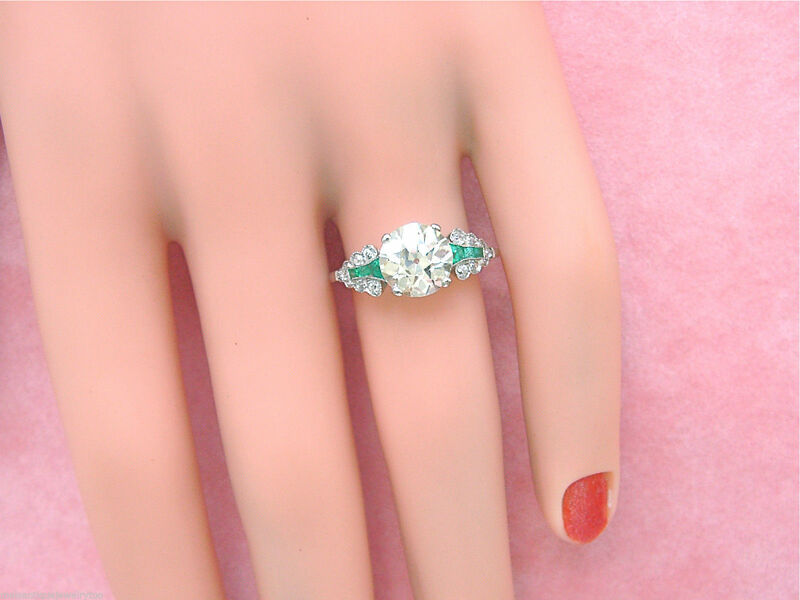 The ring sits just over 3/16” high off the finger and the ring size is a 6 ½ – ¾. The total weight is 2.7 grams.